A pop wheel is a small, and movable natal wheel displayed in front of any printout. When you are viewing a time line or a map for example and you want to view the natal chart so you can make a reference to the natal chart, then this option is very important to use. The Popup Wheel is a handy way to refer to the chart wheel while viewing another printout.. 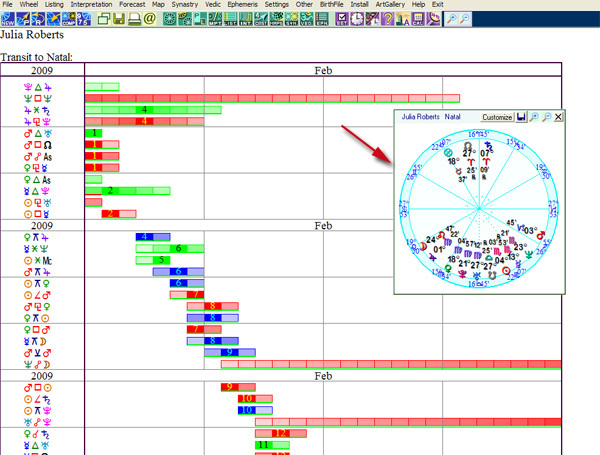 In this graph shown the Popup Wheel was selected while viewing a Time Line Format Forecast. Part of the Time Line Format is shown in the background to demonstrate that the Popup Wheel is a very small wheel that you can view while looking at other printouts. 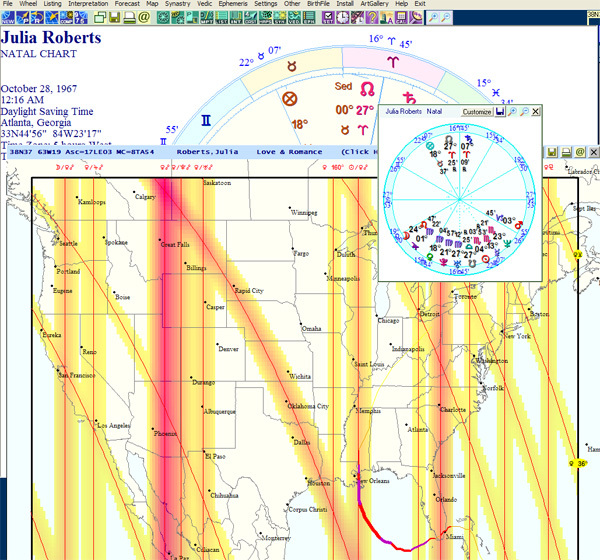 Below is an example of a window that has an AstroMap displayed with the popup whee.